Dog meat is promoted in North Korea as a superfood, with propaganda stating it has more vitamins than chicken, beef, pork or duck. According to reports in the Korea Times, the country’s state media has suggested the meat is good for the intestines and stomach, claiming it is richer in vitamins than other meats. To improve its nutritional value, the reports also suggest ‘beating’ dogs to death and removing its fur before scorching. 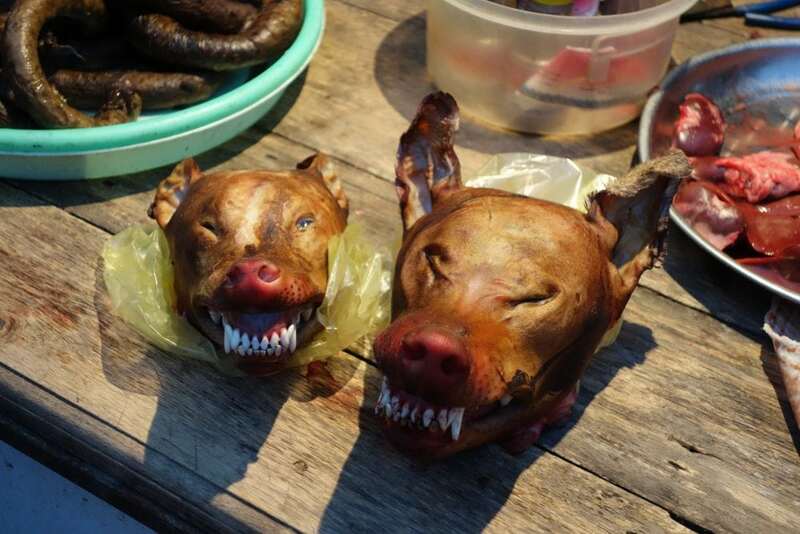 Radio broadcaster Tongil Voice described dog stew as the “finest medicine”, adding: “There’s an old saying that even a slice of dangogi (dog meat) can be good medicine during the dog days. The news comes following reports that North Korea is suffering a severe food shortage, with low food supplies compounded by poor rainfall in the past year which slashed the nation’s rice crop. According to the United Nations, at least 70 per cent of North Korea’s population, or about 18 million people, already rely on the government as their main source of food grain and for months has received well below the targeted daily ration.